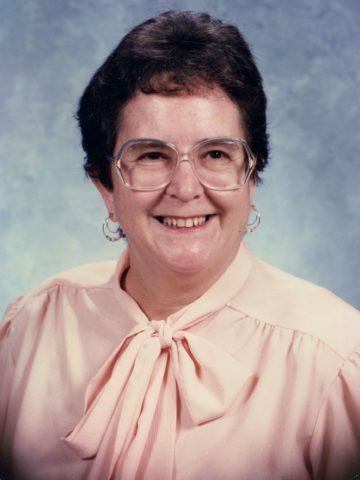 Mary Lou Cambron, age 78, passed away on May 20th at Alive Hospice. She was the wife of Thomas Rudd Cambron of Hendersonville, TN. She was the daughter of the late Robert W. Field and Mary Nell Powell of Louisville, KY. Mrs. Cambron graduated from the University of Kentucky where she meet the love of her life, Tom. She retired from Sumner County Schools as a Special Ed Teacher. Mrs. Cambron was a parishioner of Our Lady of the Lake Catholic Church since 1978 and a member of the Daughters of the American Revolution. She enjoyed traveling with her husband worldwide and later in their motorhome, square dancing, and genealogy. Mrs. Cambron was a Den Mother and a committee member for the Boys Scouts of America. She will be remembered most for the love for her family and grandchildren. In addition to her parents, Mrs. Cambron was preceded in death by a son, Robert A. Cambron. She is survived by her husband of 57 years, Thomas Rudd Cambron; three sons, Richard T. Cambron of Newport Beach, CA, Donald W. Cambron (Cheryl) of Soddy Daisy, TN, and Mark E. Cambron (Connie) of Goodlettsville, TN; eight grandchildren, Matthew R. Cambron, Andrew B. Cambron, and William B. Cambron all of Soddy Daisy, TN, Christina M. Cambron of Memphis, Hailey A. Cambron, Morgan E. Cambron, and Ryan K. Cambron all of Goodlettsville, and Nichols Cambron of Orlando, FL. Funeral Mass will be held Friday, June 1, 2018, at 6:00 P.M. at Our Lady of the Lake Catholic Church. The visitation will be held at 4:00 P.M. until 6:00 P.M. at the Church. Interment will be held at Calvary Cemetery in Louisville, KY on Saturday, June 2, 2018, at 12:00 P.M. EST. Flowers will be accepted or memorial contributions may be made to St. Jude Children’s Research Hospital P.O. Box 1000, Dept. 142, Memphis, TN 38148-0142. Tom, Mark and the whole family, I’m so sorry for your loss. I loved Mary Lou, as did mom and dad. She will be sorely missed, and dearly remembered. Kaven, Thank you so much for the kind words. We send our love and prayers and wish we could be there. We only knew her a short time and know she was a remarkable lady. Tom, you and your family are in our thoughts and prayers. We thoroughly enjoyed the many years we spent with you and Mary Lou in Texas. Mark and Connie, I am so sorry about this huge loss..Mother’s are special in our lives and I know she’ll be missed by all who love her. You are in my prayers. Mary Lou, our beloved KY first cousin was loved and will be sadly missed! Tom and Mary Lou were always faithful supporters, interested and concerned cousins! We send our heart-felt sympathy to Tom and all the family! Special Thoughts and Prayers for all the Family. Jim and I send our love and prayers. Jim and I are so sorry to hear of your loss. I am so sorry for your loss. She was like a second momma to me, her and momma are at peace. Her laugh was contagious and her smile would light up a room on the darkest days. I will forever miss her but carry her in my my heart forever. May God forever carry you in arms and give you comfort and love to the family at time of sorrow. Love you all. I am so sorry for your loss. She was like a second momma to me, but her and momma are at peace. Her laugh was contagious and her smile would light up a room on the darkest days. I will forever miss her but carry her in my my heart forever. May God forever carry you in his arms and give you comfort and love to the family at time of sorrow. Love you all. Thanks so much to everyone who committed, sent cards, came to funeral and or burial, brought food etc. it is all appreciated. I will miss her so much.